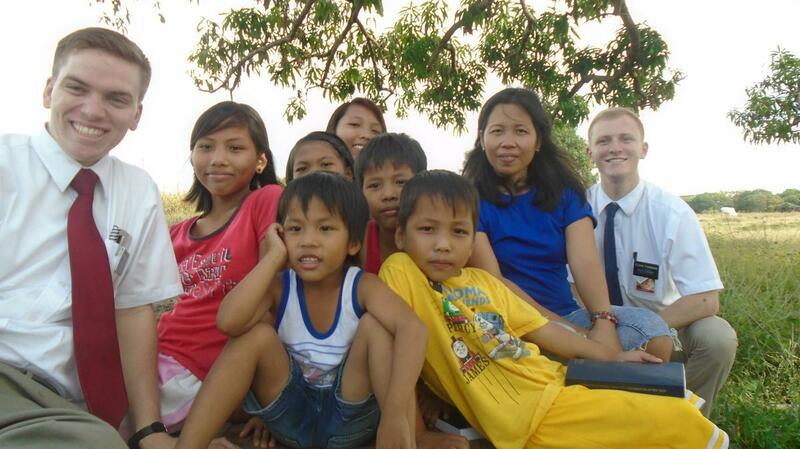 People always assured me my family would be blessed while I served faithfully as a full-time missionary. I believed every word. However, little did I know that one of the greatest tests of faith lay just ahead. I was converted and baptised into the Church when I was 18-years-old. A few years later I felt a strong desire to serve a mission. I prayed and as a result I received an undeniable confirmation that this was right; that this was what Heavenly Father wanted me to do. Three long years later I was finally on my way. I had been out for almost a year, having recently been transferred to an outer island. After months of battling depression, I felt ready for a change, for a fresh start and a new adventure. I felt that after my battle with depression I would now enter a season of peace. The new scenery gave me renewed vibrancy for the work, higher hopes and increased faith. One Monday, I decided to email my Mum. I hadn’t heard from her in a while and I wanted to see how she was doing. She replied almost immediately to which I was excited. However, my excitement quickly turned into despair. My world had turned upside down within seconds. My Mum was a recovering alcoholic and had been sober for almost three years. This was a great accomplishment and I was so proud of her. I knew in my mind that there would always be the possibility of her relapsing and had even started dreaming that she had done so. However pushing those thoughts aside I chose to believe that it would never happen as I was engaged in the Lord’s service as a full-time missionary. This all changed as I read my Mum's email discovering that she had in fact relapsed. I was in shock and sat at the computer screen crying silently. I couldn't believe it. My worse fear had come true. A few days before, I had felt on top of the world, ready to give the few remaining months of my mission all that I had. And now, I felt like the world was on top of me and I was being crushed under its weight. My feelings quickly turned into frustration. And it was aimed at God. I wasn't by any means a perfect missionary but I felt that I was trying and I thought God would have blessed me for my efforts. I was trying my best. I wanted to cry out, shake my fists at the heavens and give up. I wanted to give up on being a missionary. I felt my efforts weren't enough and that's why this had happened. So why should I even keep going? What was the point? It was exactly what I needed. I had felt abandoned and alone and hearing those words brought me a deep reassurance that He was there and that He was aware of me. As I reflect on that experience I know that there were more present than just us four in that room that night. The next day, I read the words of the angel as he appeared to Alma, “Blessed art thou, Alma; therefore, lift up thy head and rejoice, for thou has great cause to rejoice…” (Alma 8:14-15). I felt that the Lord wanted me to lift up my head and rejoice for I had great cause to rejoice! I was determined to be grateful. I began writing a list of everything that I was grateful for. From small things to big things, writing this list helped me to first recognise and then to appreciate the blessings that God was continually pouring out upon my head. At the time I wondered why God had done this to me however since then I have realised that not every trial or every sickness is a curse from God. It’s the opposite. It’s a blessing. Had I not received this opportunity for growth and learning I would still be the same person I was. It was an opportunity to be refined in the furnace of affliction and I had emerged changed – a little more grateful and a little more faithful. I am grateful for so many things. I am grateful that God helped me endure faithfully to the end of my mission and to enjoy it. I am grateful that He gave me many opportunities to grow and to learn and to be refined. I am grateful for friends and family at home, near and far who lifted me when I was weak and who still do. I am grateful for my Mum and for her strength in not giving up in her own personal journey towards sobriety. I am grateful for Christ. I am grateful that He carried me when I couldn’t walk and that He gave me strength when I had none. I am grateful that God does live and that He is aware of us all. Simone served in the Kiribati mission from to November 2015- 2017. She is currently in the YSA first ward in Auckland. A loving Mother's last words to her faithful and future missionary daughter. Samuel Fairbank didn't know what to expect when he spotted the mango tree in the distance.